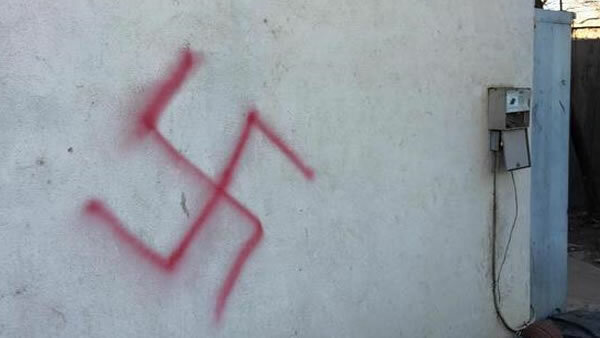 DAVIS, Calif. -- Police are searching for the person who spray-painted swastikas on a Jewish fraternity house at UC Davis. Students there say the swastikas were spray-painted sometime Saturday morning. The fraternity has condemned it as hate crime saying it threatened to rekindle tensions on campus. The associated students of UC Davis recently passed an advisory resolution asking the UC Regents to stop investing in businesses connected to Israel.